Well it's been a cold, wet month here in NZ. (Though typically, when I'm writing this, it's blazing sunlight!) To tell the truth I generally feel a bit low over winter. I'm definitely one of those people who needs the sun. While I was out driving yesterday morning, I came across these little guys. 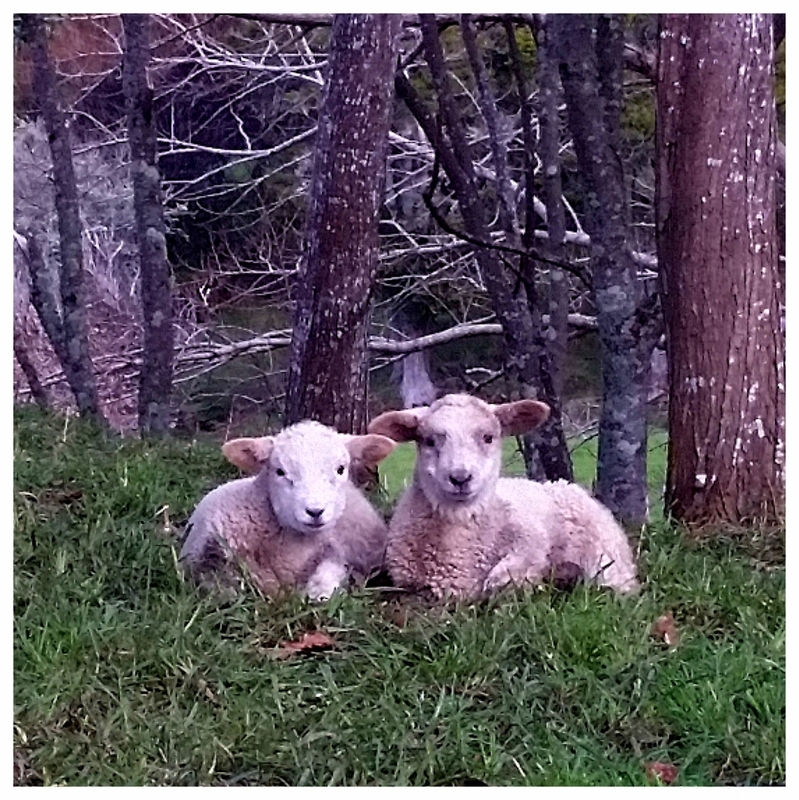 Nothing too much cuter than newborn lambs eh? I just had to stop and take a photo. I've often wondered why it is that lambs are always born in the worst weather. Guaranteed that in the biggest, nastiest storms, all the mothers will drop their lambs. I'm sure there's a technical reason for this (that one of my farming friends can tell me about); but for me, this morning it reminded me about seasons, and change. It helps me remember that even in the darkest, wettest, coldest times in life, there is always something new, something beautiful just around the corner. That even the most fragile new life can survive and thrive despite the weather. That sometimes we need the storms to trigger new beginnings. And Finally, sometimes we need to make the time to stop and soak in the beauty of a newborn lamb!